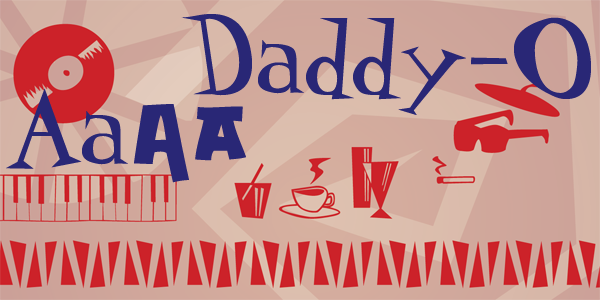 Based on the lettering and graphic design of the Beat Generation, Daddy-O was originally produced in conjunction with the Whitney Museum of American Art to coincide with the exhibition Beat Culture and the New America: 1950-1965. 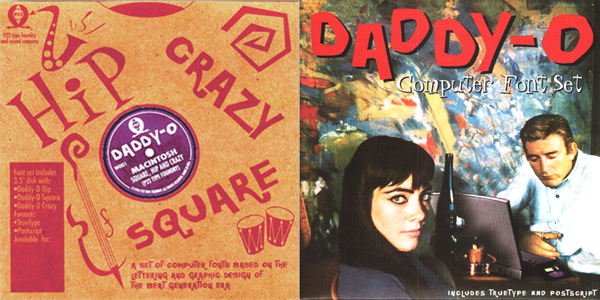 These way gone fonts and extras both capture and affectionately satirize the graphic design of the era. 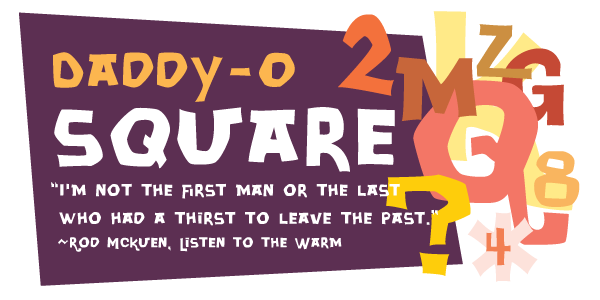 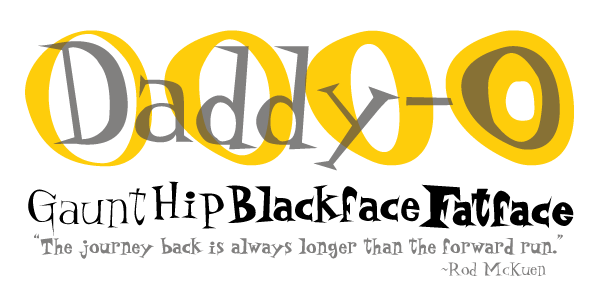 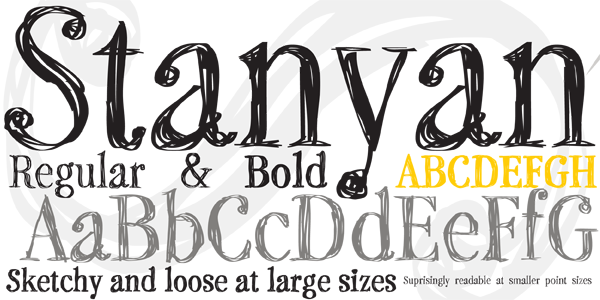 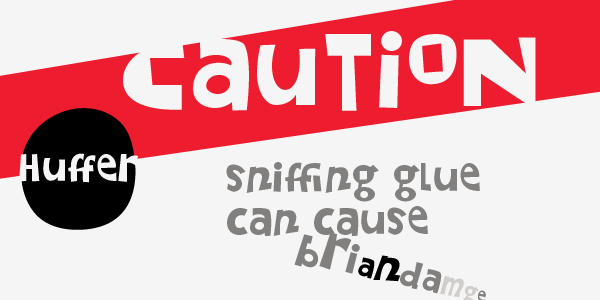 The original Daddy-O Set contained 3 fonts - Crazy, Hip and Square and is now joined by the Daddy-O Hip Family which expands the original set with 3 additional weights. 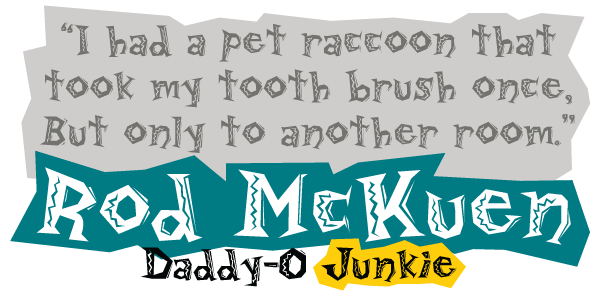 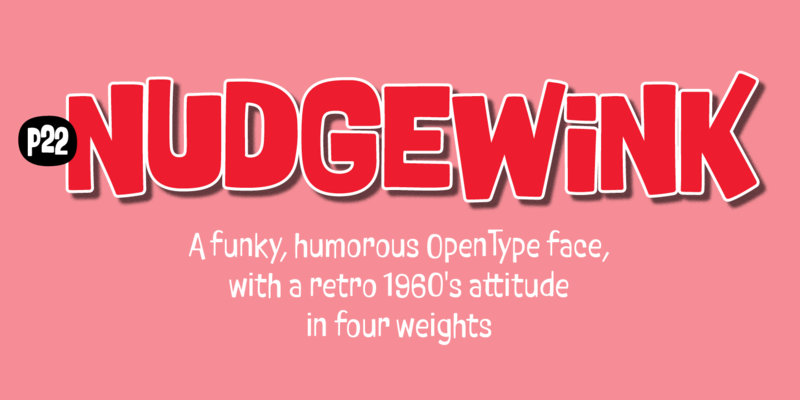 Also, Included in the Daddy-O family of fonts is the overdosed companion, Daddy-O Junkie and Daddy-O Beatsville, a set of 72 illustrations that pay tribute and parodies the American bohemian culture of the 1950's. 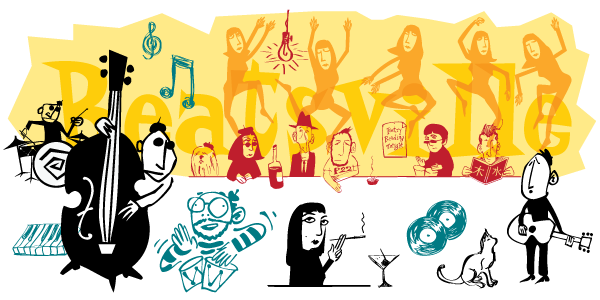 The Beatsville Extras were originally created in conjunction with the 40th anniversary re-issue of the legendary 1959 LP of the same name by Rod McKuen and released by P22 Records in a an exclusive arrangement with the Stanyan Music group.